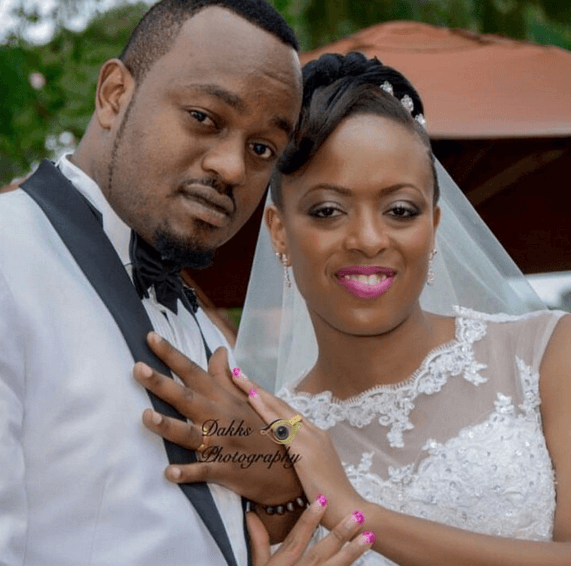 Mr. Tee who is the KBC presenter of the popular gospel TV show, Angaza, walked down the aisle last weekend. 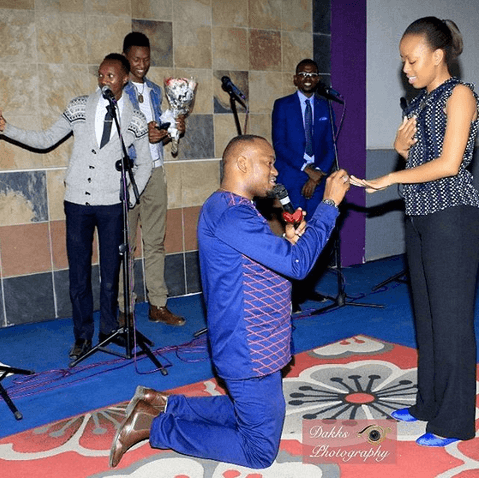 Tee who also doubles up as a gospel artiste, actor and a youth pastor held an invites-only wedding which was graced by some of the biggest entertainers in town. In May this year, the Dunia Kanisani hitmaker went down on one knee and proposed to the love of his life, who obviously said “Yes!”. “When you found me all I had was faith, my life was shattered and I had given up on love. I went down on both knees on the altar because I stand strong when am on my knees, I stand tall when am down on both knees, am a product of the altar and my life is a product of the altar. On this altar you said yes to my proposal. The greatest witness I wanted to witness was Jesus. Thank my prophet, my co worker and my wife to be. Thanks for saying yes. May the lord lead us because perfect are His ways. Five months later, the two are now husband and wife. Tee could not help but express his joy on social media.